Twitter is the best place to see what’s happening in the world right now and to talk about it, especially through premium video. Twitter today unveils over 50 premium video content collaborations, bringing hundreds of hours of live stream and video highlights programming, across sports, entertainment and news, to the platform. FMA Indonesia, FOX Sports Asia, NBC Universal, Network 18, NET TV, Red Chillies Entertainment, Sony Music, Stadium Astro Malaysia, and VICE Media are among the partners that Twitter will collaborate with to bring new content to audiences in Asia Pacific and opportunities for APAC advertisers. The announcement expands the premium video content available on Twitter to advertisers in Asia Pacific and builds on extensions of existing global and regional content deals. At the TwitterFronts event in Singapore, we presented the content partnerships to brand and agency partners in the region. They were joined by guest speakers including Christine Fellowes (@ChristiFellowes), Managing Director, NBCUniversal, Avinash Kaul (@avikaul), COO, Network18, Shanna Murady, CCO, FMA Indonesia, CK Lee, VP Of Sports Content, Astro Malaysia, Binda Dey (@bindadey), Head of Marketing, Red Chillies Entertainment, Talina Cruz (@talinacruz), Senior Manager, Digital Marketing & Visual Content, Sony Music, and Serene Lee, Head of Sales, VICE, among others. 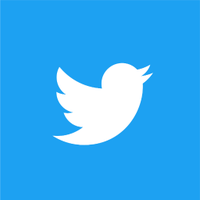 Content is happening now at Twitter, and we have proven through the efficacy of the partnerships we have crafted, that content programming and distribution on Twitter is an essential part of any media company’s audience engagement and content monetization strategies. Asia Pacific is accelerating growth for Twitter. Our unique and strategic value proposition that positions Twitter as a complement, not competitor to traditional media companies, has delivered great success and we seek to drive forward with more live stream and premium video content partnerships in the region. Video continues to be an important way to stay informed and engaged on Twitter, especially for the younger millennial audience in Asia Pacific. Building on the success of our premium video content launch at All That Matters last year, we are proud to expand our live stream and video highlights programming that is brand safe and will appeal to the audience and advertisers in APAC. The move strengthens Twitter’s presence and partnerships in the region, sharing with the world what’s happening right now in Asia Pacific and for global audiences to talk about it. Sony Music: Music is one of the most talked about topics on Twitter, and music fans are one of the biggest communities on the platform. In a partnership with Sony Music, we’re giving brands the chance to tap into this massive community, with custom content from APAC’s biggest stars, behind the scenes clips and action that’s on Twitter first. It all kicks off with award winning artist @GuySebastian. Red Chillies Entertainment: A long-term partner of Twitter’s in India, Shah Rukh Khan’s production house, Red Chillies Entertainment (@RedChilliesEnt) will be launching video content from upcoming Hindi blockbuster, Zero, on Twitter, and brands have an opportunity to leverage this Bollywood conversation. Along with this, RCE will be producing an exclusive live show only streaming on Twitter featuring the King Khan himself. NBC Universal - NBCUniversal owns and operates a valuable portfolio of news and entertainment television networks, a premier motion picture company, significant television production operations, a leading television stations group, world-renowned theme parks, and a suite of leading Internet-based businesses. Their partnership with Twitter will bring E!’s signature Live from the Red Carpet events as well as popular TV programming from @eonlineasia, @eonlineau and @DivaTVAsia to the platform and available for brand sponsorships. NBCUniversal International Networks are delighted to be bringing NBCU's global partnership with Twitter to life across Asia. Kicking off our partnership in the region, the E! People’s Choice Awards represents a wonderful opportunity to engage with pop culture fans across Asia. As the only award show that truly reflects the power of the people’s vote, E’s partnership with Twitter truly demonstrates the perfect opportunity for brands to forge deeper, more meaningful connections with their consumers. UEFA Champions League on FMA Indonesia (@FMA): The most important football club competition in the world is going to be brought to Twitter fans via Indonesia @FMA, already a partner of Twitter during the last FIFA World Cup. Fans of Cristiano Ronaldo, Messi, and Salah will have access to near live highlights throughout the competition on Twitter, until the very last game, on June 1st 2019 in Madrid. Formula One® on FOX Sports Asia: FOX Sports (@FSAsiaLive) is one of the most popular sports networks in Asia-Pacific. With the partnership, FOX Sports will showcase F1® action to fans on Twitter in real time via the handle @FSAsiaLive. The whole weekend of updates, action and interviews, delivered to fans on the go. English Premier League on Stadium Astro Malaysia (@StadiumAstro): The English Premier League is undoubtedly the best football league in the world. The action and the excitement will be on Twitter thanks to the partnership with Stadium Astro, the home of the EPL in Malaysia. Indonesian sports fans practically live on Twitter and as premium sports license holder, partnering with Twitter has been a no-brainer decision. During the 2018 FIFA World Cup, Twitter enabled us in delivering high quality content quickly with visible engagement and a high impact. Our World Cup highlights was a success for us and our sponsors and we are looking forward to extend this partnership for the next seasons of Champions League and Europa League. NET TV - NET. (@netmediatama) is a major television station network in Indonesia that produces TV programs primarily aimed for family and young viewers. With their renewed partnership with Twitter, they are bringing their top-rated TV programs to the platform and available for brand sponsorships. The content on Twitter includes popular TV talk shows such as Ini Talkshow, Tonight Show, Sarah Sechan as well as their other highly-rated entertainment, sitcom and reality shows such as The Comment, Waktu Indonesia Bercanda, Breakout, The East and 86. Network18 - Network 18 is one of the largest media conglomerates in India, featuring channels @CNNNews18, @CNBCTV18News, News18 Regional channels (formerly ETV), @MoneyControl, @First Post, @HistoryTV18 and many more. The partnership with Twitter will include three-tiered sponsorships for video clips around major tent-pole events: Budget Day programming with market leaders @CNBCTV18News, election news with @CNNNews18, as well as premium video highlight clips from factual entertainment leader @HistoryTV18. VICE (@VICE): VICE is the world’s leading youth media company, building a deeply relevant, local presence across Asia Pacific through its Singapore HQ and multiple offices across the region. This partnership will bring a powerful new offering for audiences and brands alike, combining VICE’s compelling voice with Twitter’s immediacy and conversational power — delivering premium content to wherever young audiences are consuming news, culture and talking about what’s happening in their lives, at scale. Network18 is delighted to strengthen its partnership with Twitter. With India’s largest news network in its fold, Network18 today reaches out to 670 million television news viewers through 20 news channels in 15 Indian Languages. Its array of digital properties reach 32 million news consumers on the internet . With our massive reach and Twitter's real-time conversational capability, this collaboration sets a benchmark proposition for prospective advertisers and business partners. We believe that this partnership will amplify the digital reach of a brand or idea to the next level of visibility and engagement. The partnership with Twitter is an exciting opportunity for VICE to reach even more audience across the region, pairing the power of the platform with our unique storytelling ability to lend a voice to the young people of Asia.